There are plenty of opportunities to honor our veterans. 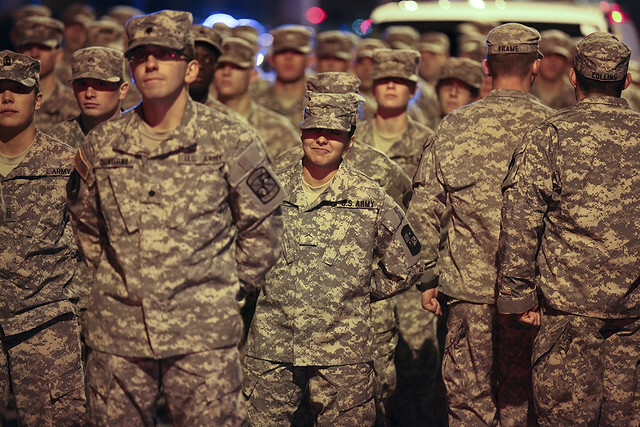 That’s especially important in the Mountain State since so many residents have served in the military. 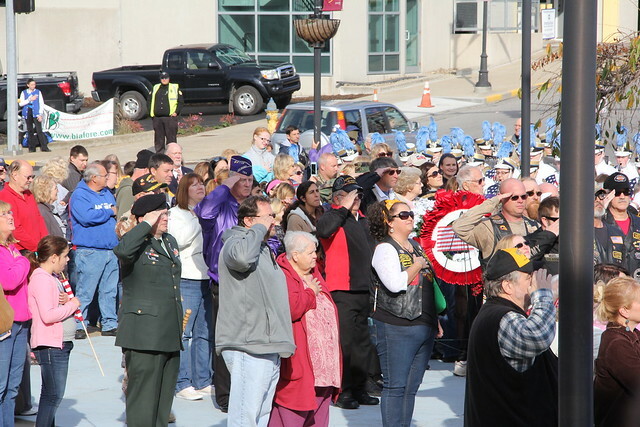 The festivities begin at 11 a.m., and include the annual parade as well as a program. Event being held at the Jackson Square parking facility on West Pike Street. 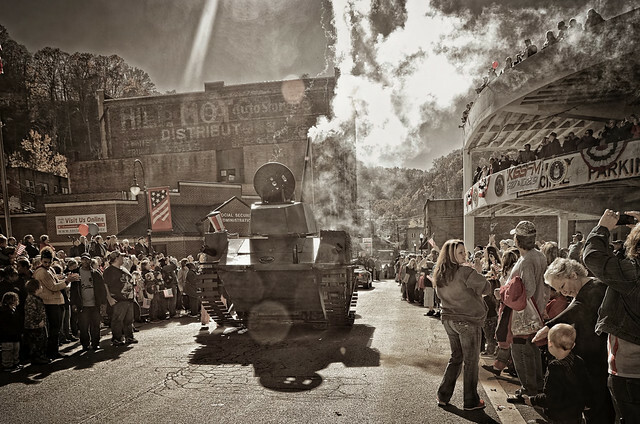 Welcome to the longest and continuously running Veterans Day Parade in the United States. It kicks off at 10 a.m. 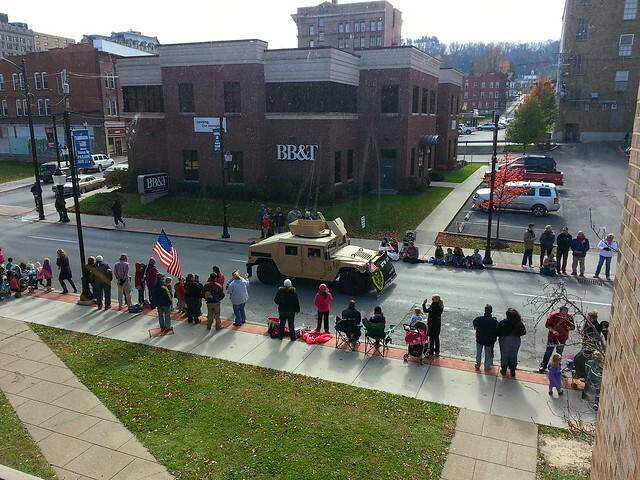 The official name is Welch/McDowell County American Legion Veterans Day Parade. Starting point is Howard Street. 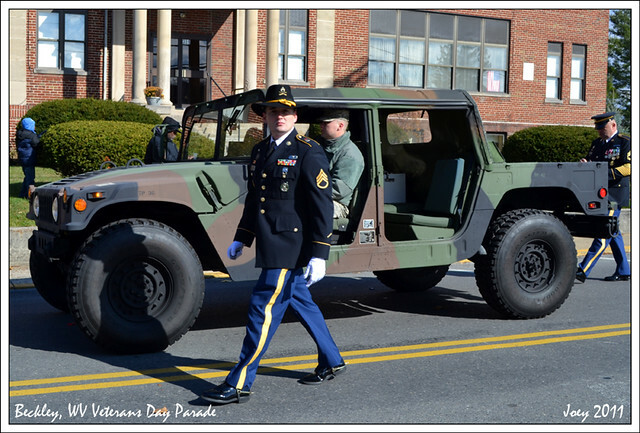 Decorated veteran Claude Walker Jr. will lead this year’s parade which will begin at 11 a.m. The route begins at Park Middle School and goes through Neville, Heber, Main, North Kanawha street to Prince and disperses at the municipal parking lot. American Legion Post 32 is the event sponsor. Singer Landau Eugene Murphy Jr. will be part of the town’s parade and veterans ceremony. Events get underway at 10 a.m.
Will take place in downtown beginning at 10 a.m. Route begins at the top of High Street and continues throughout Wiley Street to Foundry Street. Parade begins at 2:30 p.m. with a flyover. It begins at the intersection of Concord and Market streets, and ends at Colonial Lake. Parade begins at 1 p.m. Line up begins at Palatine Park, wreath presentations will follow at the downtown Veterans Square. Sponsoring organizations are Veterans of Foreign Wars Post 7048 and Post 629. Parade begins at 10 a.m. at the Elks Club, Main Street. 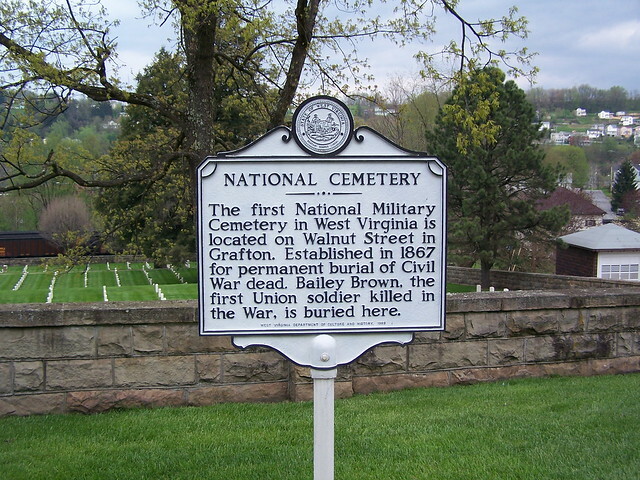 It concludes at the Grafton National Cemetery with a program and featured speaker beginning at 11 a.m. Lineup starts at 9 a.m. on Sedgewick and Main, while the parade begins at 9:45 a.m. A special celebration will be held at Jawbone Park following the parade. There is also a free breakfast for all veterans from 8-9 a.m., served at the Elk’s Lodge 1736. A free spaghetti dinner for veterans (plus a guest) is being held at American Legion Post 7, 5-6:30 p.m. The parade will line up beginning at 9 a.m. on 14th Street West, and it will begin at 10 a.m. It will be followed by a special ceremony sponsored by the Veterans Committee for Civic Improvement and will be held at the “Arch” in Memorial Park. Parade will be in the downtown and begins at 10:30 a.m.